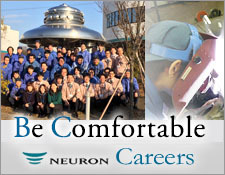 Plant Certification/Technicians | NEURON JAPAN Co., LTD.
“The unbroken passing down of the artisanal skills of tubemaking/forming/welding”. This is the foundational mission of our Manufacturing Department. We are committed to a detailed training curriculum for each individual person’s skill improvement. From welding to plastic working, these are the employees of each association, adopting the most up-to-date information.